Getting a new puppy? We’ve rounded up 9 Puppy Essentials Every New Dog Owner Needs! From leashes to treats, here are some things you’ll need for a new dog. 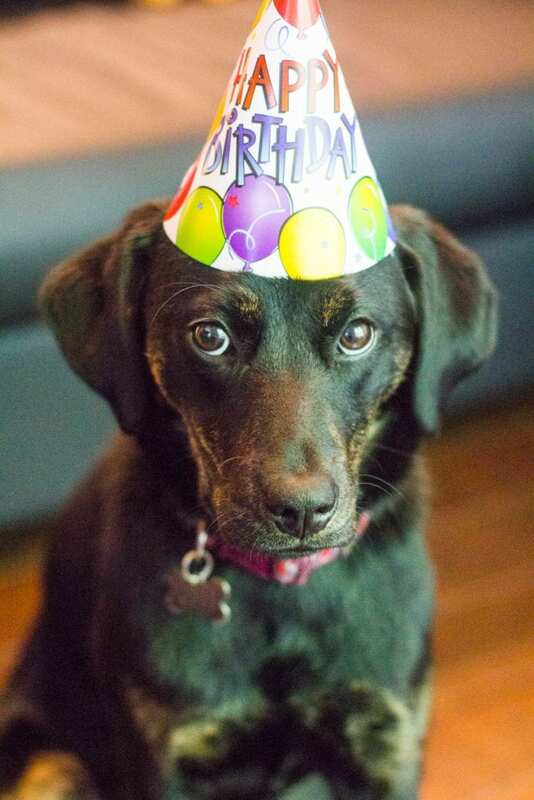 It’s no secret how much we love our dog Ziti… rescuing her was seriously the BEST thing we have ever done. Having her around our house brings us SO much happiness, and it has been so good for both our mental health (how can you not be happy when this face is looking at you!) and physical health (we spoil her with copious amounts of walks). When we adopted Ziti, she was a skinny, dirty, little puppy that was sadly stuck in a high kill shelter in the South. 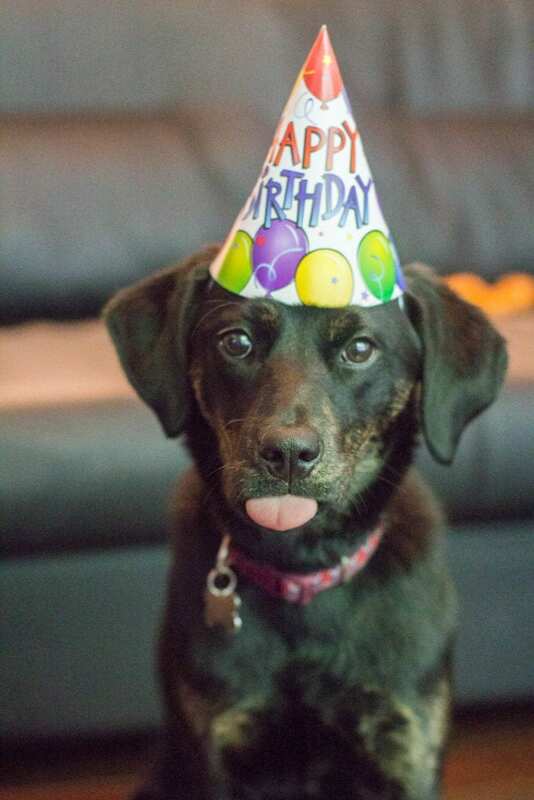 She has come a long way from then, and is now celebrating her first birthday! While Tyler and I both grew up with dogs as pets, this was our first time being puppy parents on our own. 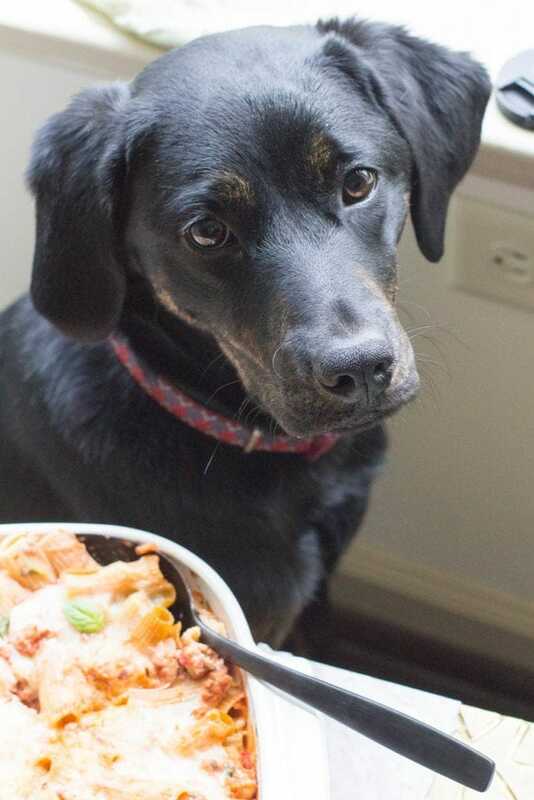 We rescued Ziti in November, and have learned a lot since then so I figured we’d share our puppy advice with you! 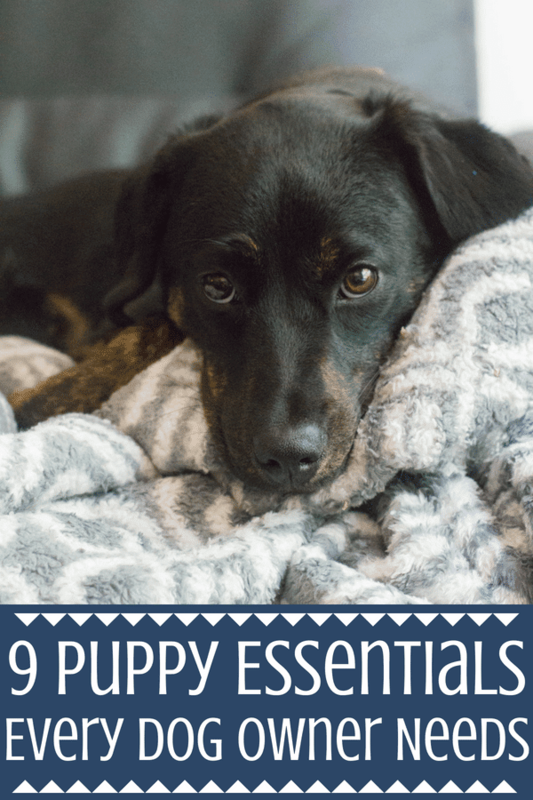 After lots of shopping… many toys being tossed in the trash.. and wasted time in pet stores, I wanted to put together a list of 9 puppy essentials every new dog owner needs. Here are some of our favorite puppy necessities. 1. Leash – Buy a good dog leash to start with. We went through SO many of these plain black leashes that I started to order two or three at a time. When Ziti was learning to walk nicely on a leash, she would sometimes reach to the side and bite the leash. Even though we would correct her, over time, the leash would fray… and before we knew it it would be in two pieces. I didn’t want to buy a full chain length leash because they are heavy and loud, but I found this leash which was half chain half regular rope/cord. It has held up awesome! After two months, there is no fraying, and Ziti doesn’t have any interest in biting the chains 🙂 Here is a link to the leash we have. 3. 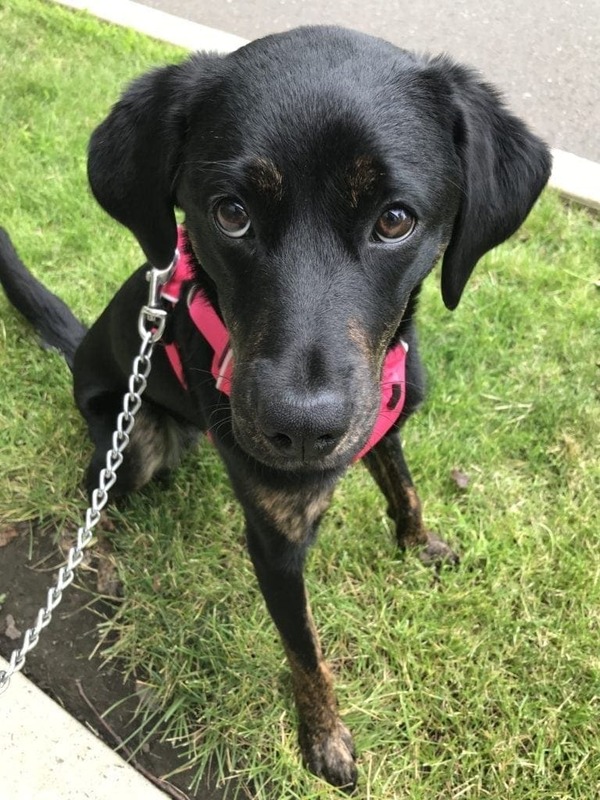 Good Treats – Ziti will literally eat ANYTHING, but we gave her lots of treats when house breaking her/teaching her sit, stay, down, etc. We always buy treats made in America. These mini training treats are what we used for training her, and she also loved these! Now we just give her these treats, and also will give her veggies like carrots and lettuce as treats. She LOVES carrots! 4. Chew Toys – Since we got Ziti, she has always loved to chew/rip things apart. Thankfully she has never tried to ruin our furniture or personal items.. but she wrecked any stuffed toy we would give her in seconds! We basically have given up on any toys that aren’t made for powerful chewers. When she was little we got her these puppy nylabones and these puppy keys. Now some of our favorite brands to buy are Nylabone, and BeneBone! 5. Dog Training Bell – This is the BEST $5 we spent, and I think they’re the reason why Ziti was house trained so quickly! We would ring the bells before talking her outside, and within a few days she was ringing them when she needed to go outside! We still have it hanging on the door and whenever she has to go out she just taps it with her nose! This is the bell we have. 6. On the go water bottle/bowl – Tyler’s mom bought us this on the go water bottle/bowl for Ziti for Christmas. We use it whenever we take her to the beach or dog park. It’s great if you plan on taking your dog on a lot of hikes/etc. 8. 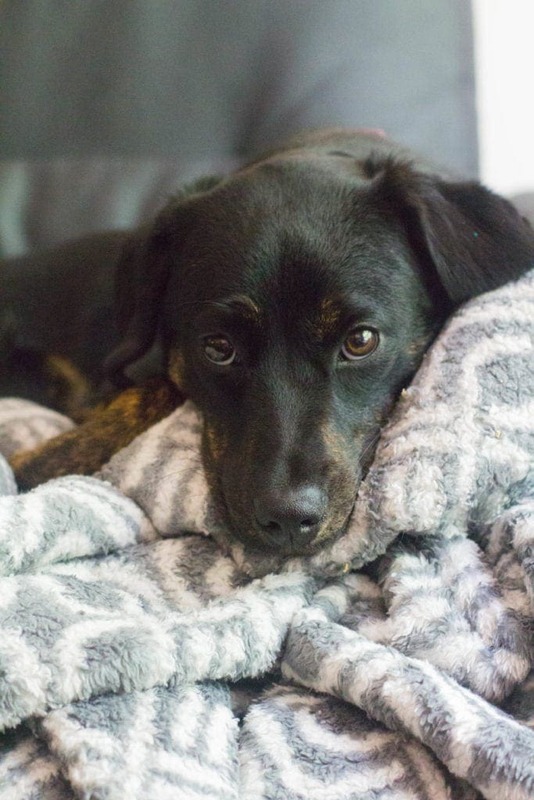 Bed and blanket– Similar to her crate, Ziti also loves her bed and blanket. She usually sleeps on her blanket on the couch but when we first got her she loved to sleep and chew on her bones in her blanket. The one we have is very similar to this one! 9. Kong + Peanut Butter – These are a must for any dog owner. Especially with working from home.. sometimes Ziti doesn’t leave me alone. Putting peanut butter in the kong toy gets her out of my hair and keeps her occupied. Overall, if you have these few things for your puppy – you will be in good shape! I want to know – if you have a dog, what are some of your essentials to have?